So I haven't had time to make a bunch of the Gratitude Minis for the shop, so I figured I'd do a few fun giveaways, just in time for Thanksgiving! Up for giveaway are three different things! 2. 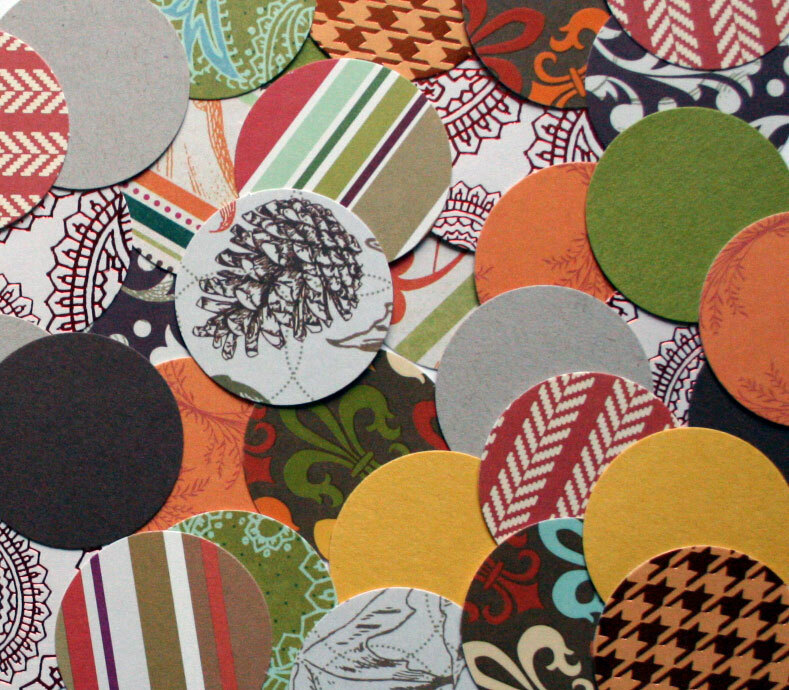 A set of 35 Thanksgiving-themed paper rounds punched from scrapbooking paper (cardstock). These cuties are 1.5" and would be great for embellishing Thanksgiving pages. 3. 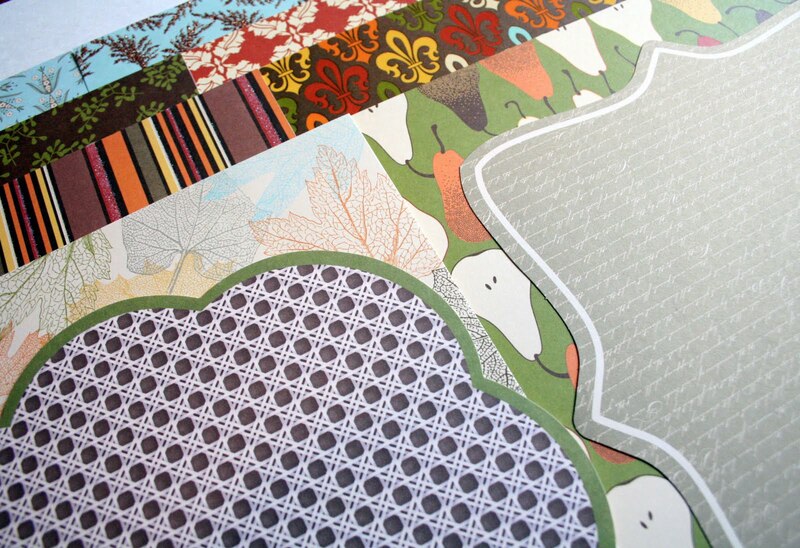 A set of 10 - 8"x8" Making Memories Thanksgiving paper. Two sheets are die cut, two sheets are glitter embellished and one is varnish embossed (not sure what it is, it's raised with plastic-y type coating?). To enter: Leave a comment by Friday (11/20) 9pm Eastern Time. A winner for each giveaway will be chosen shortly after. Please check back tomorrow night (Friday) and send me your mailing address if you are a winner. I will ship these out Saturday morning Priority mail so you will get your goodies in time for Thanksgiving! To increase your chances of winning: Blog about this giveaway with a link to this page (feel free to use a picture from this post), put it on Facebook, MySpace or however else you can get the word out! You can then leave a comment for EACH time you have posted somewhere online about this giveaway. So, say you leave a comment, then blog about it, then put a link on Facebook and then on Myspace, you would have FOUR (!!) chances to win! What a great giveaway! Thanks for the chance to enter! Ashley! 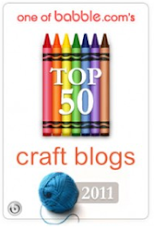 What an awesome blog :) I love the giveaways and all your creative skills and tips! Hope you and your beautiful family are doing well! Thanks for the giveaway! 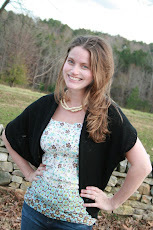 I love handmade goodies! I'll play. 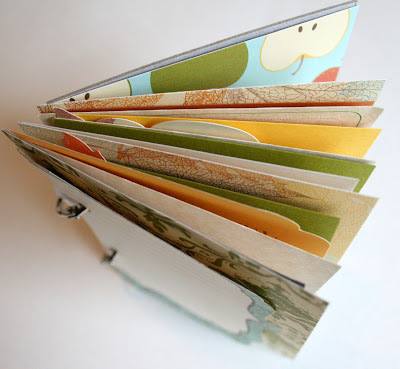 :) I do love a good mini book. Ashley! I really like The giveaways look so cute!